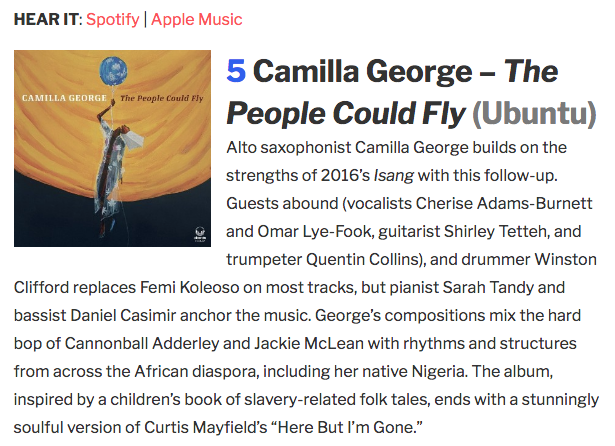 Serious Chooses Camilla George as One of Top Songs for Christmas! Yet another accolade for the gifted sax player. For the full selection and to listen to the songs, please click on the image, above.